How Can a Physician Diagnose the Problem? 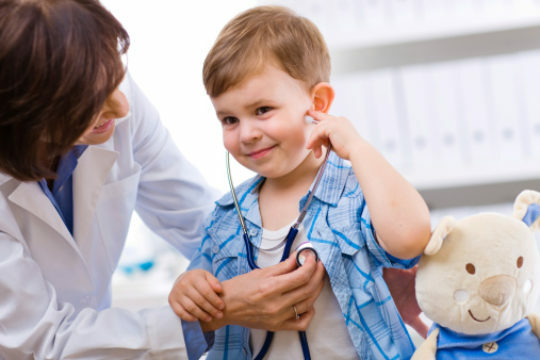 First, the physician will ask about the child's medical history and perform a physical examination. Symptoms can vary depending on where the object lies. Some children may be quiet and comfortable, while others have symptoms of respiratory distress. A serial exam is often needed. When Are Chest X-Rays Needed? Chest X-rays sometimes can help the physician make the correct diagnosis. In up to 40 percent of the cases, the physical examination will not identify the problem. In addition, less than 50 percent of the cases show the hallmark signs of a foreign body in the airway. However, most inhaled objects don't show up on X-ray. Signs on the X-ray are often subtle. In fact, 25 to 50 percent of children have normal X-rays. How Are Foreign Bodies Removed? Your physician may consult with a number of specialists, including an anesthesiologist (a physician who administers pain medication) and an endoscopist (a physician who specializes in using an endoscope). An endoscope is a slender tube that is fitted with a fiberoptic camera. It is passed through the mouth and down the throat and enables the physician to view the passageways. Equipment, including a laryngoscope, bronchoscope and forceps, is used. The endoscopist performs laryngoscopy. A laryngoscope, a device similar to an endoscope, is passed through the mouth and can be used to view the area from the pharynx to the larynx. The endoscopist then uses a rigid ventilating bronchoscope, a slender device similar to the endoscope, to view the larynx, trachea and bronchi. Anesthesia (pain killer) is given through the bronchoscope and the child is continuously monitored. Forceps are selected to fit the object and passed through the bronchoscope. Removing the objects requires a light touch. The physician is careful not to break up the object or push it further back into the throat. The physician may require several tries before extracting the object. Mask ventilation resumes after the object has been removed. The endoscopist views the airways again. Additional objects are found in 5 to 20 percent of the cases. Opening of the chest wall is rarely needed. Can Bronchoscopy Cause Any Complications?